In the Industrial Door Maintenance blog, it was discussed how important it is to keep doors maintained to ensure the safety of personnel operating them and how to help keep repair costs to a minimum. Spring has arrived and the weather has turned for the better; why not get ahead and organise your door servicing now. In doing so you will be able to pick up and deal with minor faults; not to mention, avoiding the chance of getting caught out by escalating major faults when next Winter arrives. It might be that a door is experiencing an odd noise when operating, or is presenting an intermittent fault that currently does not cause you too much concern. These little issues are the ideal opportunity to have the door thoroughly checked over because avoiding these little things can cause a chain reaction to very expensive bigger things. 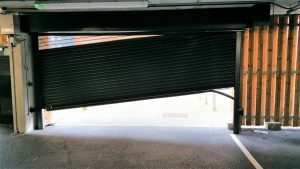 Having a door which is unoperational isn't just inconvenient, it can also greatly reduce productivity, especially if you are unable to get goods or vehicles in and out of your building. So why not avoid any undue stress later on, and sort out your maintenance today. Our Service Agreement Facility helps you save money on the maintenance of your doors. For a Service Quotation or for further advice.